The 6th grade class have just come back from the annual MMUN trip, full of stories and news. MMUN stands for Model Montessori United Nations, and it is the experience of a lifetime in which our 6th graders go to New York to participate in this amazing event. According to the students, this year was a huge success and everybody had lots of fun. “ My favorite part was meeting new people at the UN and being able to help solve problems that need to be solved. 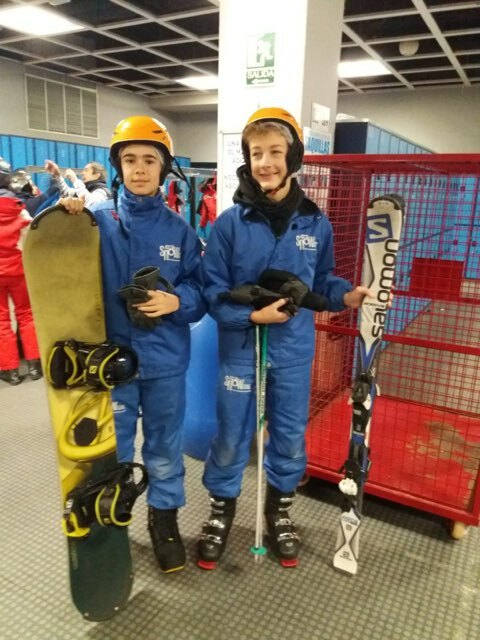 I also really enjoyed doing some fun activities NYC has to offer; skating at Rockefeller, visiting museums; and walking around New York, because New York is an awesome city.” said one sixth grade student. 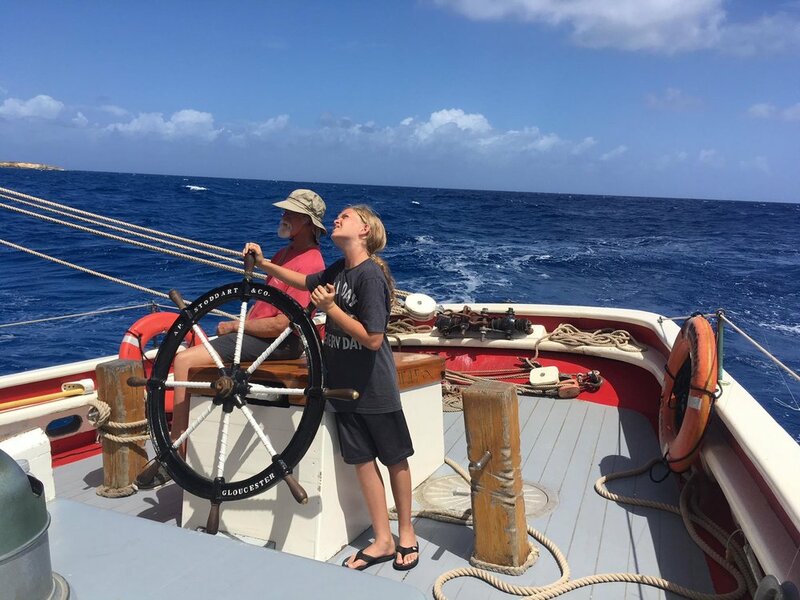 Many thanks to the Gifft Hill School for inviting our students on their latest adventure… James, Paschal, Preston, and Malcolm are spending this week at the World Ocean School aboard the Roseway. They will be visiting St. John, Puerto Rico, and other outlying islands. Feel free to follow along on the Roseway Ship’s Log! 8 students from Casvi-Boadilla school in Madrid, Spain arrived on island Wednesday for their six week visit to St. Thomas and the PGIA. They were met on the basketball court by their host families and a myriad of welcome posters! Our six PGIA Spanish Exchange students are now hosting the Casvi student that housed them earlier this year. Lots of smiles and hugs all around. The students were sincerely happy to see each other and the Casvi students are very anxious to “Go to the Beach!” Any families that are part of an excursion related business and would like to volunteer to take these visitors out for some Caribbean adventure - please, let us know! We are actively looking for great (and inexpensive) things for them to do while not in school. Yesterday this group of five 10th graders left Saint Thomas for their journey to Vienna, Austria. They will be representing the Peter Gruber International Academy at an IB Montessori school in Vienna. They are staying with host families and attending school on a daily basis. Go international education! PGIA students in Madrid, Spain just got back from their second fabulous excursion of the week. 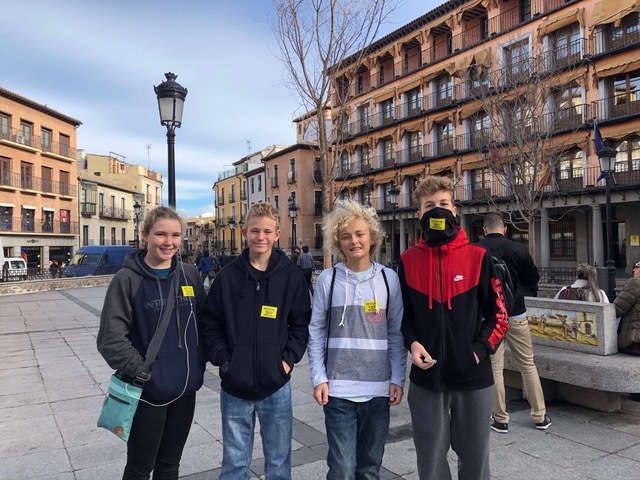 They went to El Escorial-the royal palace of Phillip II-with the entire 8th grade class on Tuesday and later on also visited Toledo. 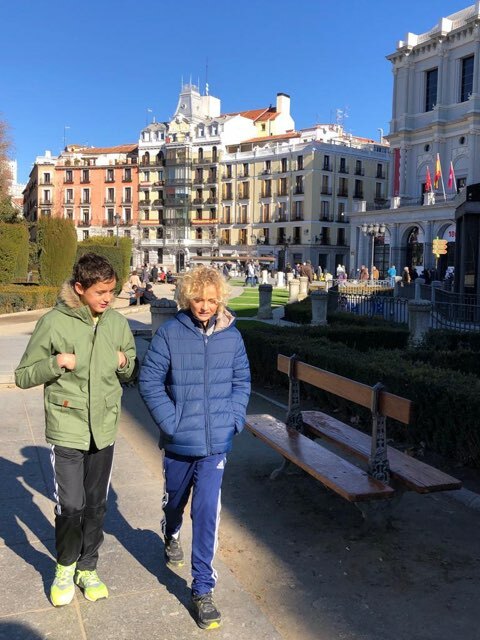 The group plans to visit Madrid and the Prado Museum on Monday. We have five students from grade 10 traveling to Vienna, Austria this year to do an exchange program with a Montessori-IB school in Vienna. This is not the first time that we have collaborated with this school, as they sent an exchange student to our school a few years ago. Our grade 10 students are traveling to Austria for two weeks in February and will be attending classes on a daily basis, as well as partaking in many excursions around this modern and cosmopolitan city. The students are being accompanied during their travel by a grade 10 parent, Ms. Teresa Ethen. Once they arrive in Vienna, however, they will be living with host families for the two weeks. It is interesting that this school is similar to our school in the fact that they have a Montessori program up to eighth grade and then they have an IB program till graduation. Our families are very excited for this big adventure, and the Austrian families are very excited to host. One or two of the Austrian students will be coming to St. Thomas in April/May to experience the opposite side of the exchange. International education at its best! End of Year Field Trip! For the end of the year community/science-based trip, Virgin Islands Montessori School & Peter Gruber International Academy (VIMSIA) Upper Elementary teacher, Ms. Ludick, organized a fun-filled day trip to St. John. 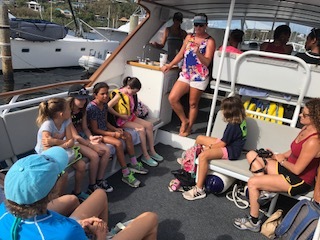 The Upper Elementary students investigated ocean life in the classroom and then were graciously able to climb aboard Stormy Pirate Boat Charters and head to St. John. "We saw two dolphins on the way at Peter Bay, swam and snorkeled with the turtles and stingrays in Maho Bay, learned some back flips, front flips, dives, and cannonballs off the boats, and ate at Pizza Pi" exclaimed Ludick. 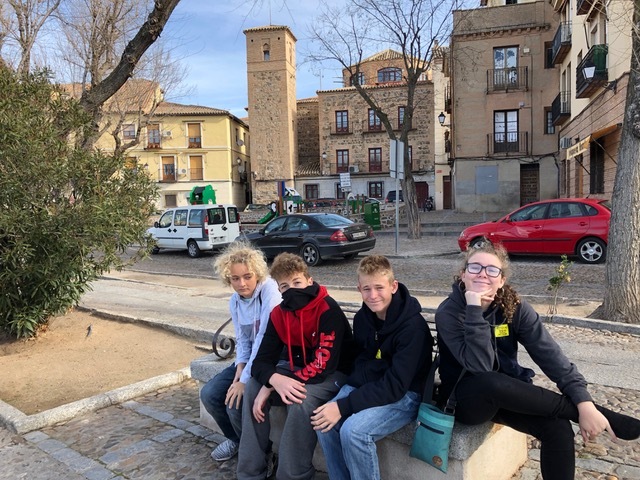 The group arrived back at school tired and happy with lots of inspiration to incorporate into individual research later on and lots of friendships celebrated. Students challenged themselves to learn new things out on the water and truly supported each other. VIMSIA would like to thank Stormy Pirates Boat Charters, Pizza Pi (both VIMSIA parent owned! We highly recommend them both!) and chaperones, Ms. Zucker, Ms. Gibbs, Ms. Butler, Coach-Nurse, Joe Slimming, and Ms. Landry. Karen Gauriloff a junior at Virgin Islands Montessori School & Peter Gruber International Academy (VIMSIA) is headed to Guatemala to participate in the Guatemala Archery Tournament along with teammate Joshua Derrickson. After five years of playing around with a bow and arrow, Gauriloff decided to take up archery competitively only one and a half years ago. Under the direction of Anne Abernathy “Grandma Luge”, a luge athlete from the United States Virgin Islands and the oldest female athlete to compete in the Winter Olympics, Gauriloff has trained extensively practicing four hours a day building strength, stamina and working on consistency – a key factor to scoring in archery. “There are three main parts to the competition” says Gauriloff. “First there is the qualification round, second is Match Play where you must compete against another archer, and lastly the Mixed Team round” which Gauriloff and Derrickson will compete in together. Feeling both excited and nervous, Gauriloff enters the competition setting her goal to score 500 points out of a possible 720 points. It is an archery tradition for archers to trade pins with their competitors as a sign of good sportsmanship. Thanks to the Virgin Islands Department of Tourism, Gauriloff is headed to Gautemala with USVI pins, towels, bags and t-shirts to represent her home. “I’m looking forward to adding to my pin collection, I have twenty so far” added Gauriloff. If Gauriloff moves on, she may have a chance at representing the US Virgin Islands at the youth Olympics. Currently an eleventh grade student, through hard work and dedication Gauriloff managed to graduate a year early from VIMSIA and will attend Allegheny College, PA this Fall. The VIMSIA community wishes Gauriloff the best of luck!